Owning a flower shop takes a lot of hard work and dedication. Sometimes, an 8-hour work day may be non-existent. 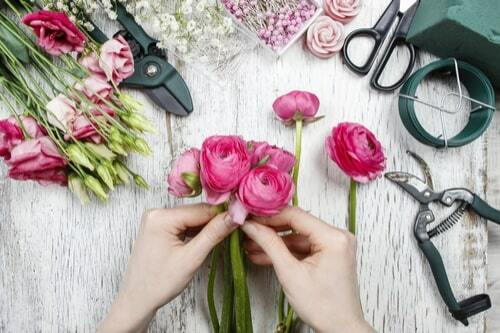 Most often, flower shop owners like you need to work on weekends or even pull an all-nighter. Especially if you have a large order for a wedding or even a funeral, it can mean a 10 to 12-hour day of making arrangements, and that can cost a lot of time and money. Operating efficiently is essential in any business, but for a florist running a small floral shop, it is imperative to have fresh flowers in stock, the equipment needed to operate properly, and the finances needed to keep the doors open. Only spending on what you need can make the difference between having a profitable day or a day of lost revenue. Attracting customers with creative marketing is a key ingredient to success. 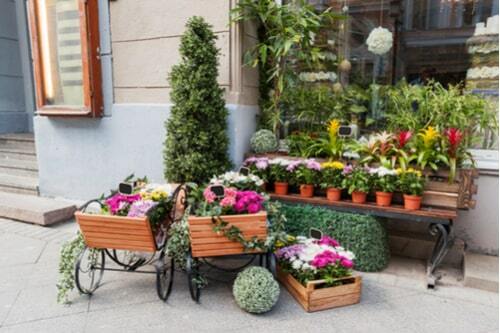 Whether that means setting up a beautiful window display that looks like a secret garden or promoting your business with a fun and catchy phrase or jingle that makes you stand out. Too often, small businesses struggle with their finances, and in business, you may have a month of high sales volume and a month when your sales plateau or even plummet. It's just the nature of the beast. Deciding the best way to make an impression on your customers is up to you, but be mindful of your working capital. 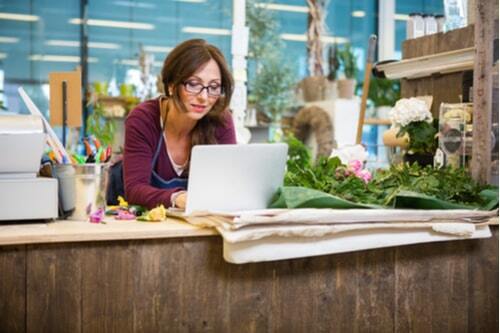 The difference between a large corporation and your small business is the funding or working capital that is available, whether that means having the money to keep up with your expenses or to recover from a bad month. Small businesses like yours may find it much harder to bounce back than the big chains, so keep that in mind when using your working capital. If you feel as though your numbers have plateaued, it is probably time to try something different, but that doesn’t necessarily mean something more expensive. Step outside of the box and get creative with your budget. Keeping up with inventory can be quite challenging in a flower shop, mostly because your inventory has a shelf life. That means constantly having the expense of ordering fresh flowers. In your industry, you will definitely experience higher operational costs than a business owner that sells a product with no expiration date; there is no way around this. The only way to prevent over-spending on inventory while making sure you have what you need to operate efficiently is trial and error. Getting to know your customers is important in any business, but for you, it will help you know when to order and how much. Knowing what will sell will save you time and money. At one time or another, you may have to invest in a repair or two. A presentation is essential in any business. Whether you have a brick and mortar store or an online company, you want your business to have an appeal. If your business does not have a professional and legitimate appearance and/or function properly, it can cause you to lose business. Perhaps your business is experiencing a certain amount of success, and you are looking to expand or even open a second location. This is a crucial time for any business owner. On one hand, not capitalizing on the moment when the time is right could mean a lost opportunity for your business. On the other hand, if it is not done right, you can experience financial issues. Creating a business plan and budget can make all the difference. Always be sure to stay within your budget. Spending too much on a new venture can often provide bad results. If you find that you have already bitten off more than you can chew and your financial status has become uncertain, take advantage of the alternative funding a cash advance can offer. It is a great way to keep your doors open and business operating as usual.